Exodus: Gods and Kings, exciting or disastrous? After watching Noah I can’t say I’m really excited for another retelling of a biblical story, however that’s exactly what Exodus: Gods and Kings does. It is the story of Moses, played by Christian Bale, and the parting of the read sea. 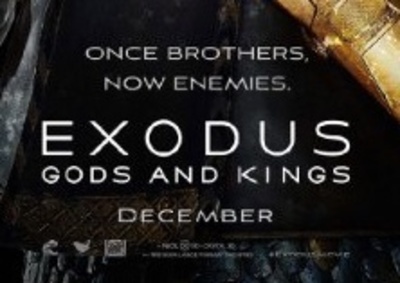 Will Exodus: Gods and Kings be in your to-watch list? Looks like very good acting, but like you, I'm not particularly interested in seeing biblical story. As a movie, I think Exodus could be amazing, but as a biblical story, I'm worried. I don't like this current trend to take religious stories and embellish them. This goes for any faith. If this movie had been reworked to only be similar to the story of Moses, I would have likely been all over it. Now, I don't know. Ghostbusters reboot with all-female ghostbusters? Will you be checking out Horns? Who does Romantic Comedies best?